Let’s just face it: Zombies are awesome. So awesome, that even the government of BC created a disaster-response campaign involving zombie tips that can save your life in more than one way. I guess it’s good that BC is on board with the zombie theme then because the Vancouver Zombie Walk is coming once again this weekend! 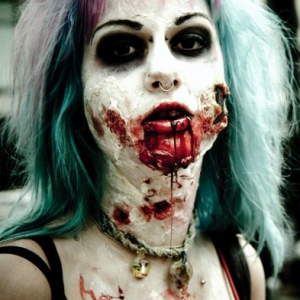 It’s time to moan and crawl down the street and celebrate the blood, guts and gore that come with this zombie parade! Will you be participating in this undead event? Even if you don’t, you can certainly pick up some great Halloween costume ideas! Although we have no Halloween stores in Manitoba (anyone want to open one for 2013? ;)), Winnipeg is hosting a Zombie Walk and Toronto will be having one of its own as well on October 20th so all of our Ontario friends, be sure to check it out (btw, we do have one of our Halloween stores in Ottawa)! 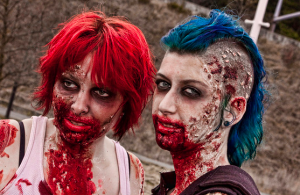 Do you know of other Zombie Walks happening across Canada? Fill us in and share your photos!